When you start your career in commercial real estate brokerage, you really do need plenty of contacts and people to talk to, so that you can get some listings and inspections underway. Most agents and brokers at the very beginning lack that all important contact list to get things started; interestingly some never really get that fact under control. The ‘clock is always ticking’ in our industry, and the deals will happen regardless of if you can find them or not. Don’t let other agents get into your territory to command a greater share of your business. Comprehensively cover the area and build your relevance constantly as an agent with local people. Position yourself as the agent of choice. 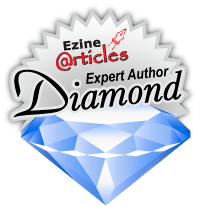 So the message here is that you can and should focus on your database creation from the very start of your activities in the industry. From the very start of your activities, the list of people that you know simply improves and grows over time. If you are not doing the deals right now, then it is most likely due to a lack of prospecting and database activity. It is a personal thing and you can do something about it quite easily. When the market slows, you do more prospecting. When the market is ‘booming’ you still do more prospecting. Got the message? LOCAL BUSINESSES: Get a list of all local businesses in your town or city. You can use the business telephone book for that. The internet is also a good place to get plenty of leads and contact information. As a daily activity start calling all the local businesses in a logical and systemised way. Perhaps you can work the businesses on a street by street process; perhaps you do it by industry segment. The point is that when you ring those businesses you simply ask to speak to the ‘person in charge’, and you ask them if they need any help or assistance in property related matters. No matter what they say you can start a professional conversation and leave your contact detail with them; perhaps you can escalate the contact to a meeting if some potential exists now. Any reasonable conversation will go into your database for later follow up. Some conversations will go nowhere and will be discarded. It’s quite a simple equation. Make the calls and talk to people. Don’t pitch your services; just ask questions. OWNERS: Research the property ownership records for the location. That research does take time so you will have challenges in finding many people to talk to quickly and easily. Initially make it a target to talk to 5 property investors and or property owners every day. That is a reasonable target but it will take a reasonable degree of research. 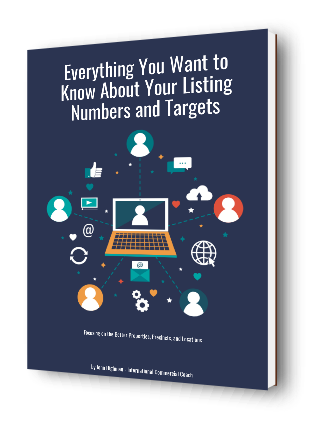 Stick to your numbers and understand realistic targets when it comes to prospecting. WORK THE STREETS: Pick your streets in popular commercial property and business precincts. Start door knocking the local businesses. Call at those businesses to see if they need help in property matters, be that in sales, leasing, and or property management. Ask questions, be polite, and be professional. Soon your confidence in the process will grow. So there is your plan. Are you up to the challenges in those 3 simple things? Can you get active and build some client and prospect contact? If you want to get anywhere of consequence in our industry, there is no better way to do things. Get out and about every day and talk to new people. Soon you will know lots of things about the local area and your business leads and listings will grow. You can get more database tips and prospecting system ideas in our Commercial Real Estate Brokerage eCourse ‘Snapshot’ right here.